Some people are renewing the call to reduce the harvest of chinook salmon in hopes of boosting their numbers for our starving southern resident killer whales. That approach alone will not work. If recovering chinook salmon were as easy as drastically cutting or eliminating fisheries, we would have achieved our goal a long time ago. At great cost to tribal and non-Indian fishing communities, harvest has already been reduced by 80 to 90 percent over the past four decades to protect weak salmon populations. Still, stocks such as Puget Sound chinook are showing little or no sign of improvement since being listed as threatened under the Endangered Species Act in 1999. Some people are renewing the call to reduce harvest further in hopes of boosting the numbers of chinook salmon available for our starving southern resident killer whales. State, tribal and federal fishery managers in Western Washington say this would at best result in a 1 percent increase of chinook salmon available for southern resident killer whales. Southern resident killer whales and chinook are on a parallel path to extinction because of choices made decades ago to prioritize timber harvest, dam construction, urban development and industry’s legacy of pollution at the expense of habitat preservation. Meanwhile, sea lion populations on the West Coast have more than tripled to about 300,000 since the federal Marine Mammal Protection Act was created in 1972. Harbor seal populations in Puget Sound and Salish Sea have grown from about 8,500 to nearly 80,000 in the past two decades. In terms of salmon consumption, seals and sea lions — not humans — are the apex predators of salmon in the Puget Sound region. They are believed to take as much as six times more fish than Indian and non-Indian fishermen. There are no more easy answers. We are left with the hard work of restoring disappearing salmon habitat, enhancement of hatchery production, and addressing out-of-control seal and sea lion populations. 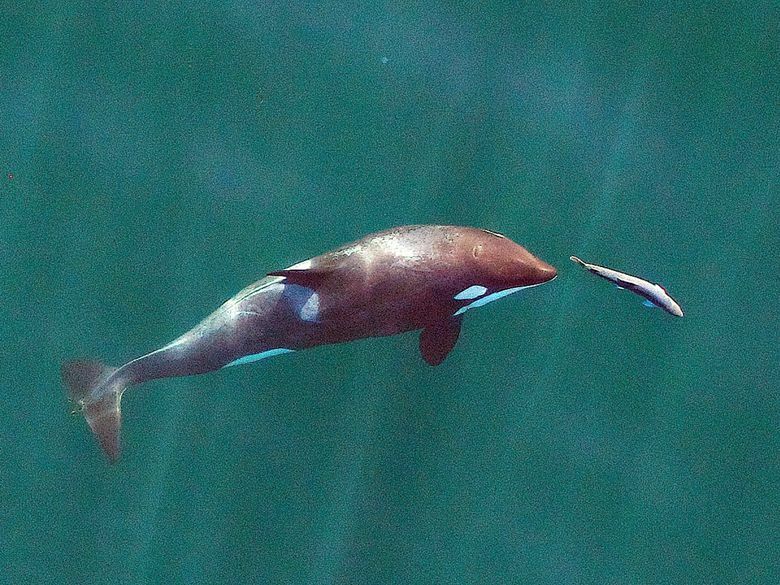 As the plight of Tahlequah and her calf so tragically illustrated, Puget Sound and the natural resources it supports are ailing. We must re-establish ecological balance and improve the resiliency of the Puget Sound ecosystem. That’s why tribal, state and local policy leaders, sport and commercial fishermen, conservation groups, scientists and others have created the Billy Frank Jr. Salmon Coalition. We have found that we have far more in common than our differences, and that the way forward is to work together. Our efforts focus on protecting stream-side habitat through uniform science-based requirements across the region. That means creating healthy stream-side buffers with plenty of mature trees that keep water temperatures low, stabilize riverbanks and contribute to diverse in-stream habitat for salmon. Healthy habitat is critical for both naturally spawning and hatchery salmon to self-sustain their populations. Until habitat can be restored, hatcheries remain key to salmon recovery. The coalition will support additional state, federal and other funding for increased salmon production and restoration of our aging hatcheries. We also will support focused efforts to increase hatchery production of chinook specifically to add to the southern resident killer whale population’s prey base. Our coalition is developing recommendations to maintain stable seal and sea lion populations that won’t undermine salmon recovery efforts. We need to assess just how many seals and sea lions there are in Western Washington waters and gauge their impact on salmon recovery. We support the recently signed federal legislation to allow annual lethal removal of up to 900 California sea lions on the Columbia River, and we think the program should be expanded to include Western Washington. The Billy Frank Jr. Salmon Coalition is a return to the cooperation that has always been the key to natural-resources management in our region. That’s because all of us and our natural resources are connected. We are at our best when we all work together for salmon. Lorraine Loomis is a Swinomish tribal member. She is the tribe’s fisheries manager and chairs the Northwest Indian Fisheries Commission. Phil Anderson is a former director of the Washington Department of Fish and Wildlife, Pacific Salmon Commissioner and chairs the Pacific Fishery Management Council.